The spring equinox is a marvelous time to shake off what doesn't serve us, open our hearts to new growth, and enjoy a little chocolate warmth with friends. Join us for a special Sunday Spring Equinox celebration on March 17 from 5-6:30 pm at our Five Points studio. Move your body to the beat of your heart with a 30 minute Buti yoga followed by 30 minutes of vinyasa and restorative yoga sequence. Shake and sweat it out with a tribal dance, yoga elements and plyometrics Buti sequence led by Jacq, with Kayce leading the Vinyasa and restorative yoga sequence. We will cap off this celebration with an energy cleansing cacao ceremony. Push out the negative and bring in the positive vibes with movement, reflection and ritual. $20 covers the entire 90 minute celebration; including hot sipping cacao and a crystal/palo santo bundle for you to take home. All levels welcome! Space is limited - sign up online to reserve your spot! Yes - You Can Learn to Do Crow Pose! Crow pose. It’s one of those poses that people LOVE - or, they just ... can’t … do. For those in category two - what is it that makes crow so challenging? Is it uncomfortable? Is there an element of fear? Maybe it’s just a matter of learning the right way to get into crow pose. If you have yet to master crow pose, read through our step-by-step guide - and scroll down for a quick how-to video. Or, just come down to FLEX Yoga + Barre for your free class, and we'll teach you! The first step to successfully getting into crow pose is to set up a strong stable base for yourself. Come into a low squat, with feet hip-width apart, heels off the ground. Place your palms to the ground in between your knees, about shoulder-width apart. Try to keep elbows over the heel of your hand (kind of like in chaturanga!). Finding proper leg placement is one of the trickiest parts of crow pose. Don't worry if you don't get this part down perfectly right away, there are plenty of modifications you can make (which we will get into later)! Let your shins meet the back of your upper arms. Place your knees as close to your armpits as you can. Once you've figured out where your legs and arms need to be, it's time to fly! Shift your weight forward, keeping your arms slightly bent. Squeeze your inner thighs together, keeping them and your core strong and stable. Try to lift one foot at a time while maintaining balance. Once you feel sturdy - try to lift both feet off the ground! Once you achieve liftoff, try to maintain it for as long as you can! Touch your toes together if you can. Keep your gaze forward, your core tight and your thighs squeezed together. You're doing it! You're in crow pose!! Many people feel like the biggest challenge with crow pose is getting your legs off the ground, and staying balanced. When you’re just starting out, just focus that. Don’t worry about making sure every single little thing is perfect - as long as you can get into pose that’s all that matters. You can figure out the rest later. Here are some tips and modifications you can try out in the beginning! If you start to fall, just somersault forward. Keep your upper back rounded, not straight. Focus on keeping your body tight, and draw everything in before lifting your feet. To help with liftoff, start with your feet on a block. If you aren't comfortable with the idea of somersaulting forward, place a block under your forehead when you start to shift your weight forward in case you fall. If you are still figuring out leg placement, try squeezing them against your outer arms rather than snuggling them into your underarm area. Every yogi has experienced this - you’re in class, and THAT person walks in. Instead of letting that person ruin your class, take a breath and follow these tips. “I have a deeply rooted fear of falling on my face and busting out my teeth,” says one personal trainer who has yet to master the yoga headstand. See, you’re not alone - even the fittest among us struggle with certain yoga poses. So if headstand is one of those poses you jussssst can’t seem to figure out, we have a step-by-step guide for your reading pleasure. We also included some detailed instructions and pro-tips on how to get into pose and stay balanced once you find your groove. TL;DR? 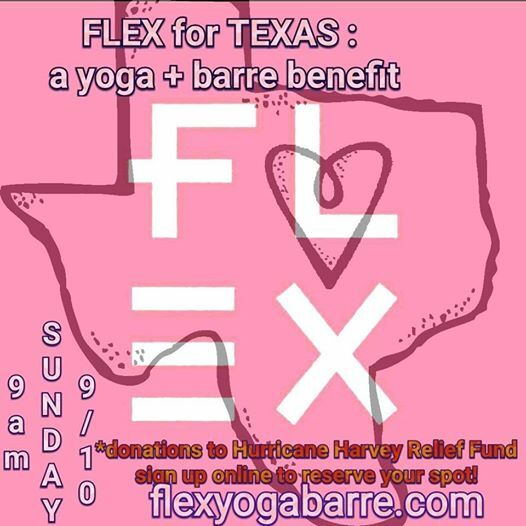 Skip to the video at the end of this post, or come on down to FLEX Yoga + Barre and we'll teach you. First class is free! 1. Kneel down on your yoga mat. This one is simple - you’re already a success! If this is is one of your first attempts at headstand, you might even want to fold your mat in half for a little more cushion. 2. Place hands together on floor in a “basket” grip. There are a lot of different ways to place your hands during headstand, but the basket grip method seems to really resonate with most beginners. 3. Put forearms & elbows down to the ground. Once your fingers are comfortably laced, it’s time for proper arm placement. Put your forearms and elbows to the ground. Your arms will ultimately end up forming a triangle, the elbows forming the “base," shoulder-width apart, 6-12 inches from where your knees touch the ground. 4. Lower your head to the ground. Many people find it most comfortable to place the crown of their head to the ground, but that’s not the case for everyone. It might take you a few tries before you figure out what you like best. 5. Snuggle the back of your head into the basket grip. Here’s where that basket grip comes in handy! This hand position is much more comfortable and provides more support for novices. Start moving out of the kneeling position by straightening your legs and raising your hips to the sky. At this point, it will feel similar to being in dolphin pose. 7. Start aligning your body. Keeping your arms and head where they are, start to tiptoe forward until your hips are stacked over your shoulders, shoulders stacked over your head. Start raising one leg up into the sky, followed by the other leg. When you’re first starting out, you might need to hop lightly off the floor or even get into tuck position before extending your legs to the sky. Slowly and steadily continue to extend both legs to the sky while keeping core, glutes, and thighs tight. 10. Straighten body, keep core tight & pelvis tucked. Ta-da! You’re in a supported headstand! Make sure to engage your muscles, keeping your body tight and strong. Stay there as long as you feel comfortable, and then gently lower your legs back down toward the ground. Staying balanced can be tricky, especially when you’re getting acquainted with being upside down. Here’s some pro-tips! Keep more of your weight in your arms and shoulders, and less on your head. Think about elongating your neck rather than scrunching it up. Be prepared to fall, but don’t be afraid - those wobbles are your best teachers. One day, you’ll be able to raise your legs into the sky no problem! Don’t be discouraged if it takes a long time before you get there. Practice against a wall! This way if you topple over, you don’t have far to go. Work on your core strength. A strong core will do wonders for yoga practice all around. If you’re new to town, or just looking to meet new people - Denver is full of opportunity. Learn how to make new friends (as an adult!) in Denver here! Wellness Cleanse and Fitness Bootcamp! Whether you are interested in a new physical challenge, or looking to kickstart a lifestyle change; this program is designed to fully reboot the body, mind, and spirit. 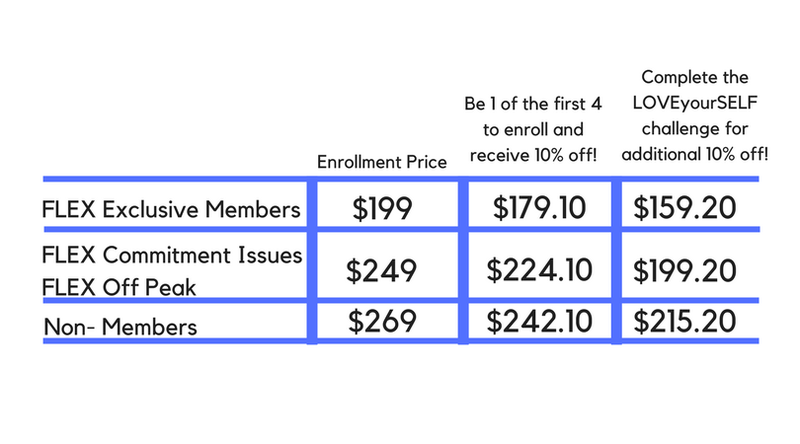 The cleanse is designed to prepare the mind and body for the bootcamp and is completely customizable to your own personal goals and unique schedule. New to the idea of cleansing? Not a problem! We'll spend the morning discussing cleansing techniques and preparing you with information on how to create and sustain healthy eating habits. We'll also learn how to use food as fuel, track meals and workouts, as well as share ideas, tricks, and motivational pieces to help make the most out of the cleanse! Challenge and strengthen your mind, body, and spirit. Boost energy, build confidence, and renew your vitality with a community of like-minded people all working toward the same goal of becoming the best version of themselves day in and day out. Bootcamp starts with a 'FitTest' to see where we are mentally, physically, emotionally. This allows for a baseline from which we can set goals, milestones, and track progress. We'll wrap up the bootcamp with that same FitTest to see how far we have come in the 21 days! Let's Do This! Sign Me Up! The goal of this challenge is to continue the energy of the new year by staying active in the practice of self-care. How? By exploring all types of self-care over the next 28 days. Challenge yourself to complete 16 different classes throughout the month of February, and track them on your LOVEyourSELF Challenge card! FLEX Spring Clean : Wellness Cleanse and Boot Camp. - Make the commitment to LOVEyourSELF! To up the ante, we've added some new classes to our February schedule! More Boot Camp info to follow! BLOSSOM VINYASA kick starts our 21 day Pre Holiday Challenge and is a sure to be an exciting and exhilarating experience! This is a donation based class -- pay what you can (suggested $5 donation), or bring in a non-perishable food item to be donated to the Colorado Food Bank of the Rockies! New to Yoga? Or have a friends or family members who might be curious about trying yoga for the first time? This series is the perfect place to start! 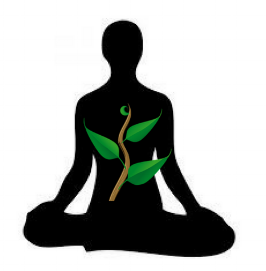 We are thrilled to offer our 4 class series YOGA: SEEDS TO BLOSSOM designed for those seeking a strong foundation of the basic poses (asanas) found in our FLEX yoga classes. Our intention is to provide those new to yoga with an understanding of the breath, how it links movement and correct alignment, and provide appropriate modifications. This will give you tools and confidence to attend classes while safely able to modify or adjust according to your own personal practice. All are welcome. Come blossom with us! Fear of falling? Failing? Or maybe just craving the courage to TRY?!? Set fear aside and experience the exhilaration of learning to F L Y. Arm balances are tough. And finding the time to work on them can be even harder. Which is exactly we have created the LEARN TO FLY workshop! Over the course of 3 Saturdays, we will work to develop both spirit and strength as we explore the mechanics and integrity that form the basis for arm balances and inversions. Whether you are just starting your journey or looking to elevate your current practice, these workshops will provide you with the foundational elements essential in order to safely shift your perspective AND your confidence when it comes to the possibility of balancing on your hands. BUY FLEX 10 PACK NOW! New Classes + New Faces! We're so excited to announce some new additions to our schedule! Check out our new instructors, and our new classes! Taylor is a certified instructor in Power Vinyasa and Acrovinyasa, who has been teaching for almost two years. Her yoga journey began nearly 5 years ago when she stumbled into a free Vinyasa class. What started as a foreign and strange practice became her outlet for overcoming difficulties with body image and an overall unhealthy and unhappy lifestyle. Seeing how powerfully transformative the practice of yoga is, first hand, is what lead Taylor to seek out teaching it to others. The challenge, focus, and energizing atmosphere of Power Vinyasa ultimately led her to try Acro Yoga. Linking her grounded Vinyasa practice to acrobatics and a new level of interconnectivity with others lead her to a deep well of passion for this dance with gravity. Taylor was then inspired to travel to Indonesia to complete her 100hr Acrovinyasa training with YogaBeyond. Her travels led her to live abroad in Australia, teaching Power Vinyasa and Acrovinyasa. She is happy to be back home, and eager to share all of her knowledge of yoga and Acro Yoga with the community in Denver. Taylor will be teaching Power Vinyasa (heated) at 6:00am Tuesday mornings and 5:00pm on Wednesday evenings! Michelle is a Chicago native who left the windy city to seek out the mountainscapes of Colorado. Like so many who practice intentional exercises, Michelle first practiced yoga to find grounding and purpose for her inner life and as a way to balance the demands of her career in non-profit development. Michelle is mission driven, and ten years of yoga have helped her bring the fulfillment of purposeful work to a purposeful personal life as well. Michelle tried Barre in Denver and knew from her very first class that she’d found a unique kind of magic. Barre harnessed the focus of yoga, combined with the challenge and intensity that gave her drive. She saw the positive results of Barre physically, but also mentally and emotionally as well. Michelle believes a workout should be fun and engaging for both the mind and the body, and her Barre practice has provided her both. She was inspired to complete Lindsey Long’s 50 hour PodBarre training here in Denver and knows that this is the beginning of a long journey of deepening her Barre practice. Outside of the studio, you can find Michelle at an outdoor concert, hiking in Boulder, playing with her nephews at the park, and reading at the Denver Public Library Friends Foundation, where she currently works. Find Michelle at FLEX Barre 6:15pm on Tuesdays and 6:00am Fridays! Growing up in a tiny town in West Virginia, I moved to Denver after spending a weekend at Red Rocks shows. The moment I returned back East after my vacation, I felt a part of my soul calling me back, and soon thereafter the Mile High City became my home. It is here where yoga found a way into my life as a different method of getting a good workout, and with that came an added, and unbeknownst to me, bonus of staying grounded (a fancy way, in my mind, to say ‘staying sane’). The feeling that I get each time I return to my mat is almost impossible to put into words, which is why I hope to share it with others through teaching. We all come to our mat with our own, different objective or purpose, but I aim to take it one step further and teach from a place of getting what we didn’t know we came for. I’m a go-with-the-flow (no pun intended) kind of gal, and I bring that energy to each of my classes. Prepare to get sweaty, groove to some funky tunes, and most definitely hear some corny jokes as we share our practice together! 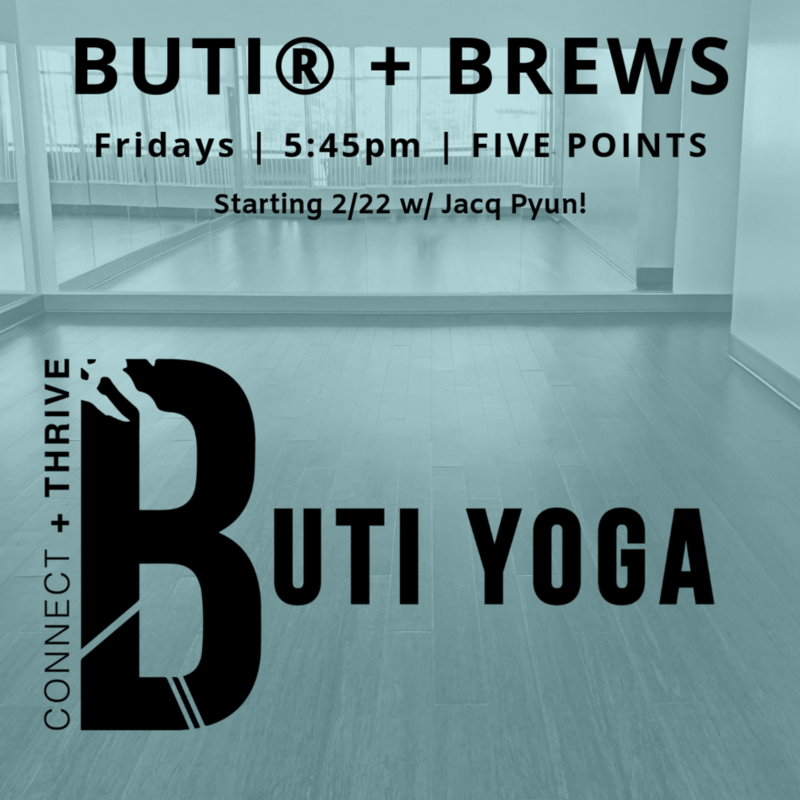 Start your weekend with Danica Fridays at 5:45pm Power Vinyasa + Brews! Are you interested in teaching yoga or barre? Well, we just so happen to be looking for awesome yoga and barre instructors to join our team! Send an email to info@flexyogabarre.com with 'DEMO DAY!' in the subject line, or fill out the form below to schedule a demo time. Come prepared with 20 MINUTE demo of the class you'd like to teach! Join us for our second annual Yoga Mala celebration! At 11:08am on New Year’s Day, Cassie will guide us in a yoga mala that is part salutation (movement) and part japa (chanting) -- an experience that will surely be unforgettable. Start 2017 off with the intention to connect deeper to yourself, your community, and to the idea that peace is attainable for everyone. This 90-minute, donation class will consist of 108 sun salutations or moving meditations, and is a powerful way to welcome in a new beginning. The sun salutation itself is made up of 9 postures linked together in vinyasa fashion- connected by the breath. This is a fantastic way to get blood flowing and serves as a form of cleansing; creating a sense of renewal and preparing oneself for a new practice, new day, and new period of life. Kombucha toast as we finish! You asked, we listened. We are bringing back our 8 week Intro to Bellydancing series! Belly dancing enhances self-expression and self-confidence. Through dancing, we can learn to love and appreciate our bodies exactly as they are, while becoming stronger and more flexible at the same time. No previous dance experience is needed. All ability levels, shapes and sizes are welcomed and encouraged! FLEX Yoga + Barre Rocks the Park! This past weekend, FLEX Yoga + Barre had the extreme pleasure of sponsoring Yoga Rocks the Park at Sunken Gardens. Yoga Rocks the Park is a free/by donation outdoor yoga event supporting Food Bank of the Rockies. Our very own Cassie Silvia led the most amazing guided meditation, followed by a challenging, and inspiring vinyasa flow led by Kayce Berke accompanied by the musical stylings of DJ Rico Sol. It was a fantastic morning to say the least, filled with excitement, exploration, laughter and love. Thank you to those who joined and helped make this event an absolute highlight to our summer! 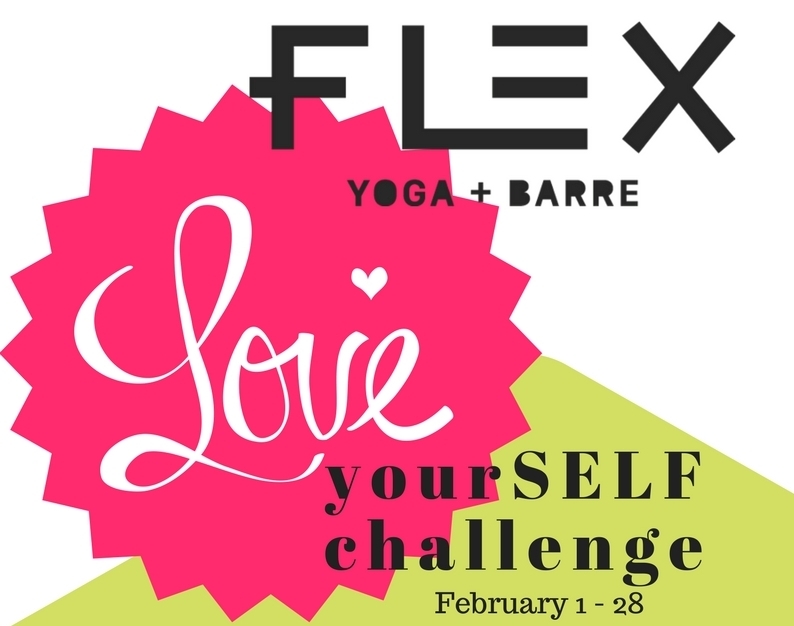 FLEX YOGA + BARRE HOSTS BUSINESS NETWORKING EVENT! The dust has settled, all the packages have been opened, out-of-town family returned home, and those New Years Resolutions made. We are hosting a tour of our newly renovated studio and networking with fellow area business owners.